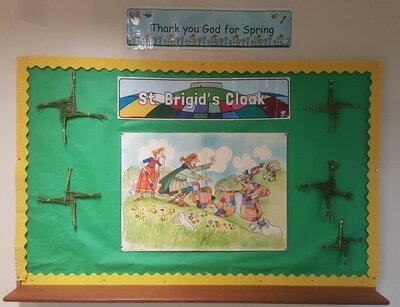 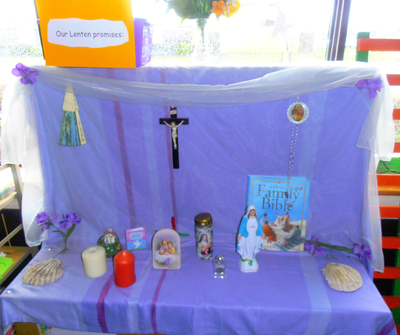 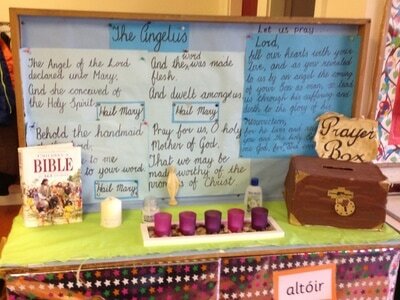 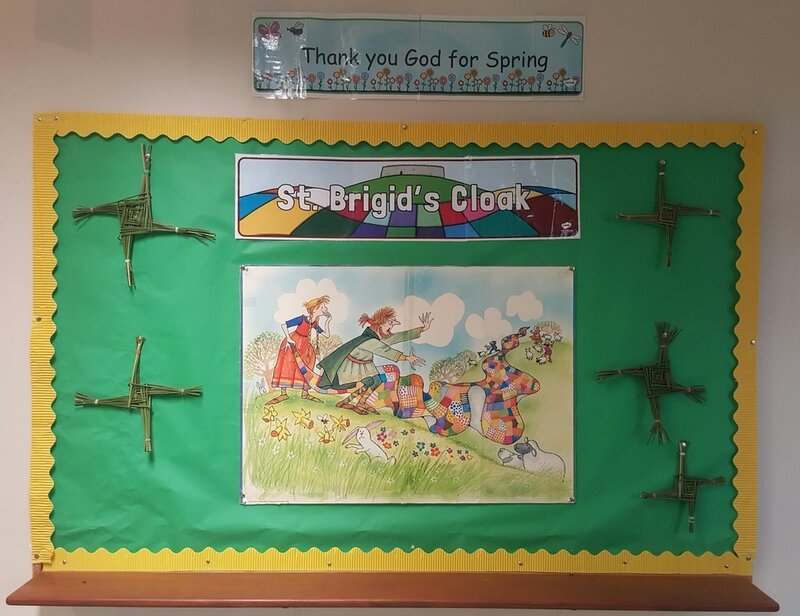 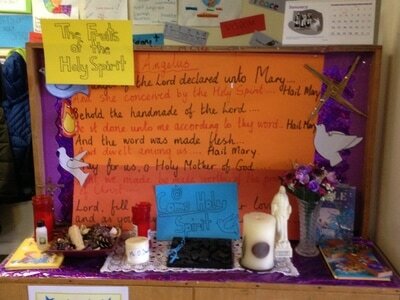 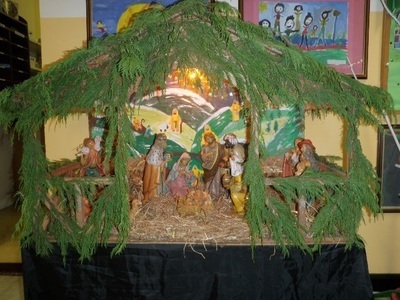 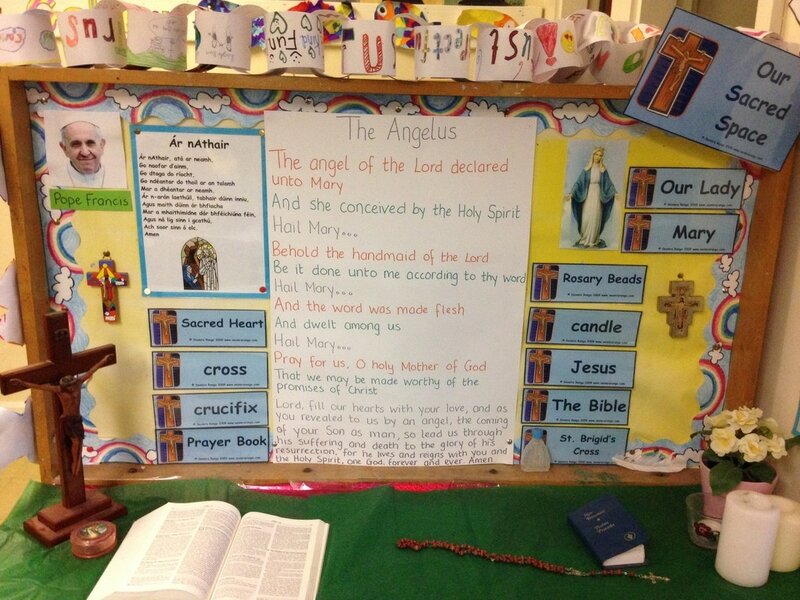 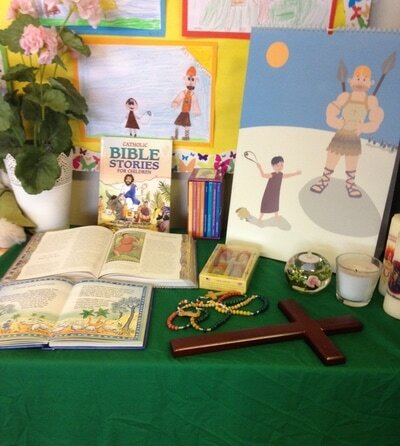 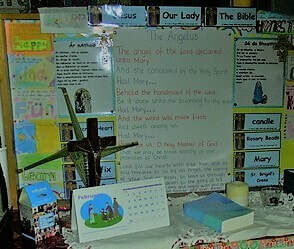 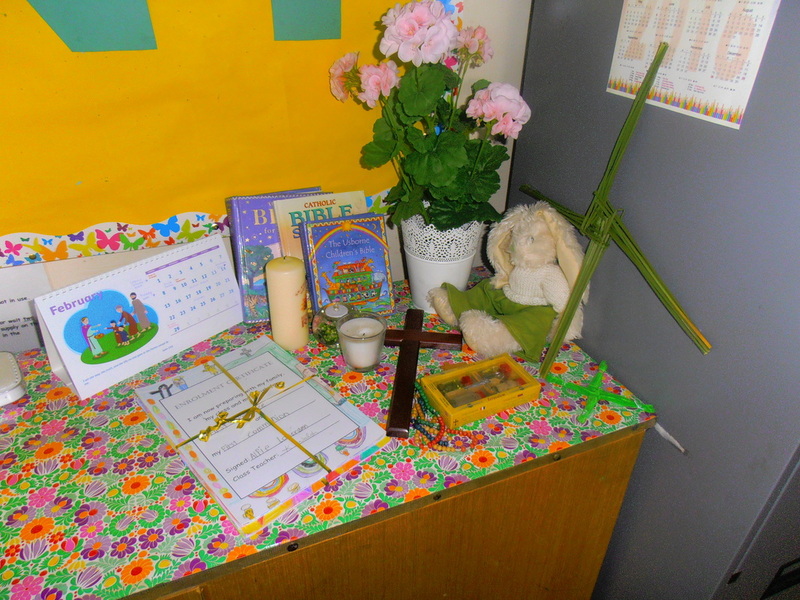 To celebrate being a Catholic school, we have a Sacred Space in the main entrance hall which contains a bible, a statue of the Holy Family, a cross and other symbols. 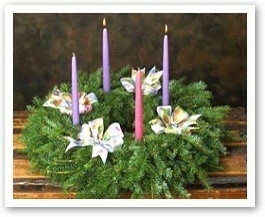 We use a green background in ordinary time and a purple background during Lent and Advent. 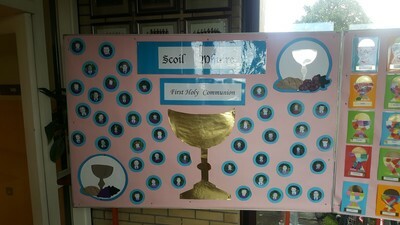 We have two Statues of Our Lady on display in the welcome area and there is a colourful cross at each end of the school. The Schedule for Catholic Schools and the school’s Vision Statement are also on display in the main area. 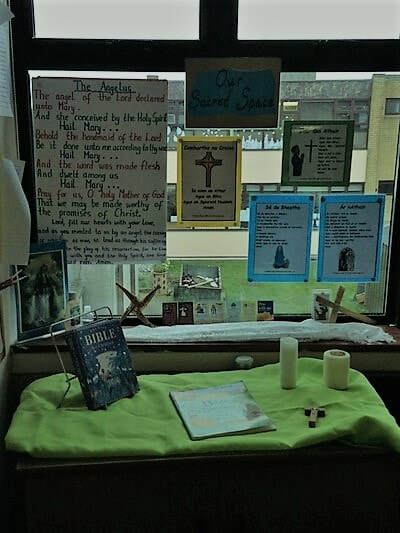 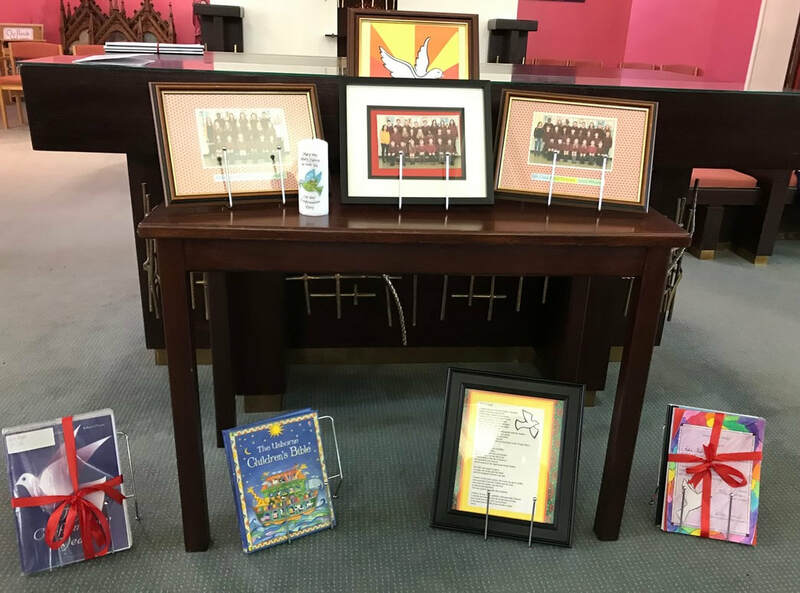 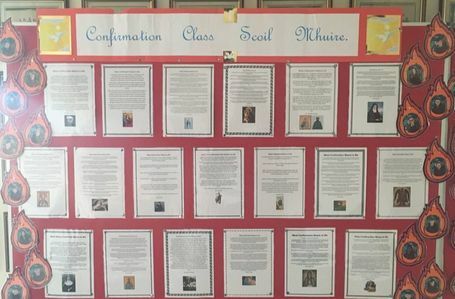 Beside our Sacred Space, we have a Welcome Board which Mrs. Mescal and Mrs. Hackett change regularly to reflect different themes and liturgical events throughout the year. 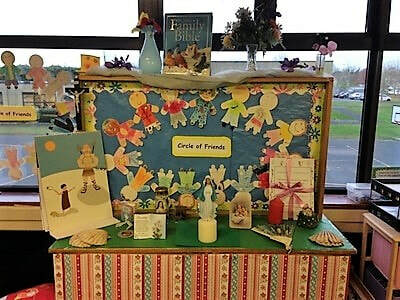 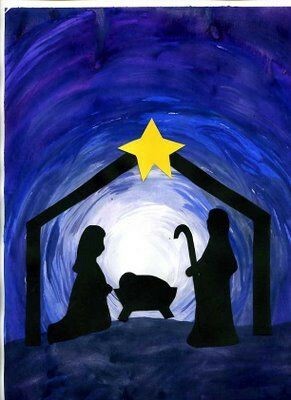 This is used as a link with all the classes and with parents so everyone is aware of what is happening in the liturgical year. 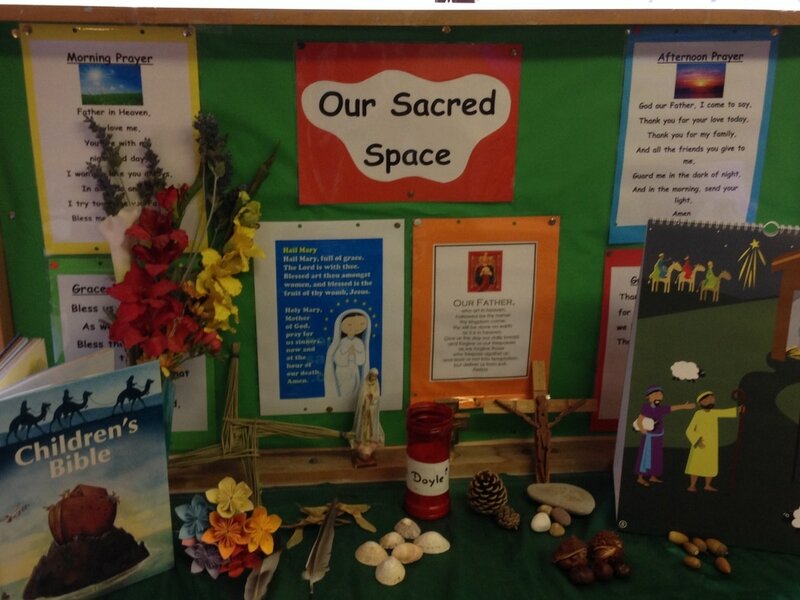 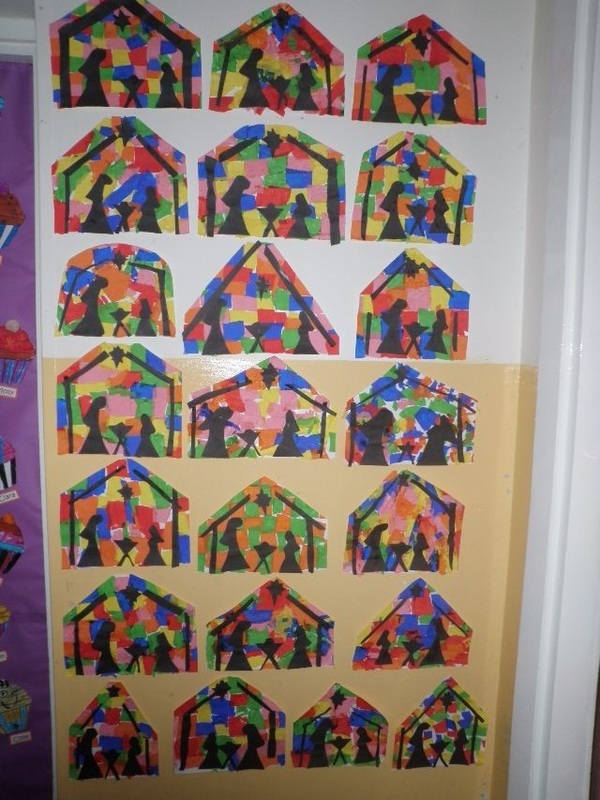 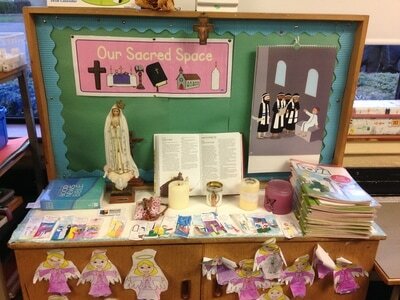 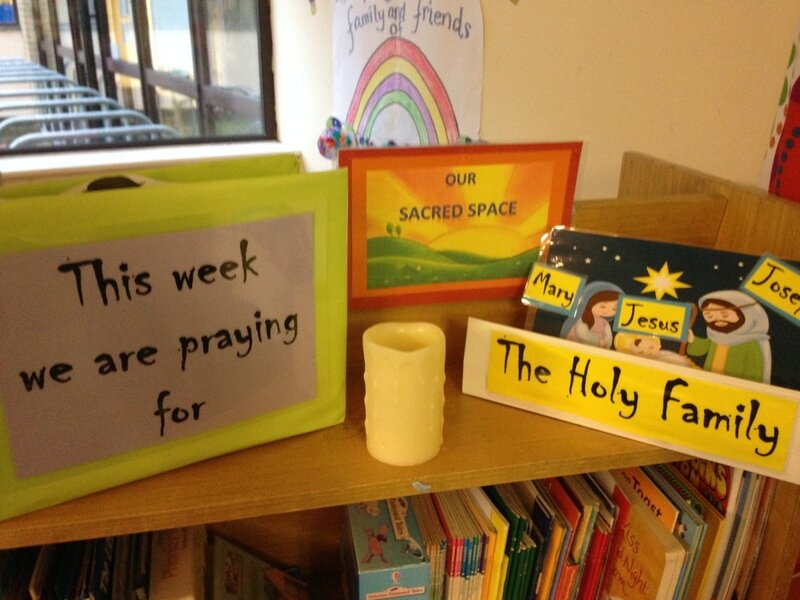 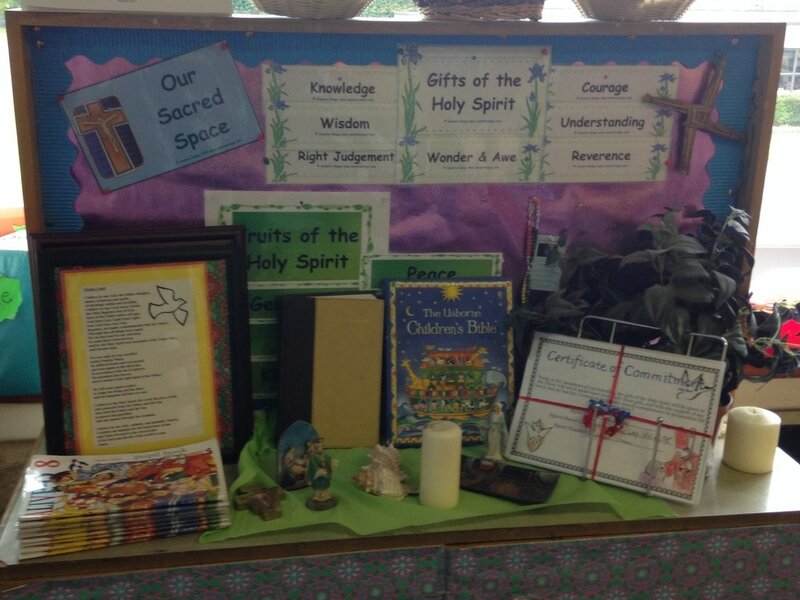 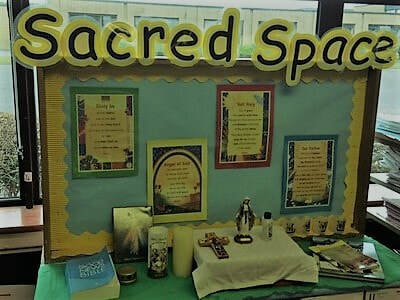 There is also a Sacred Space in each classroom. 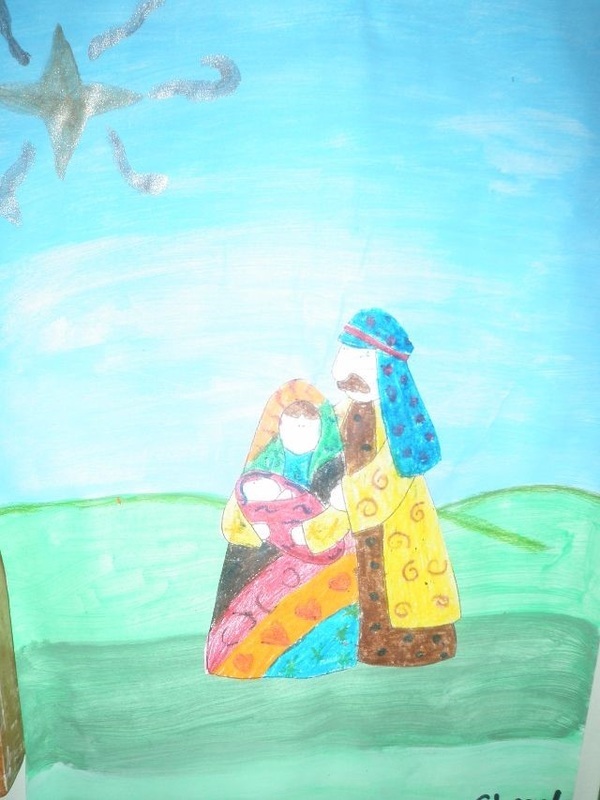 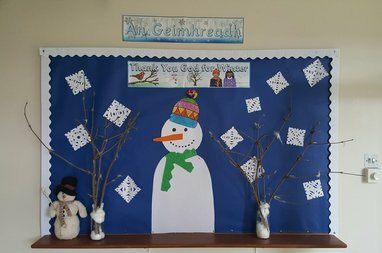 Many thanks to Breda Holmes and Sr. Maureen, our Diocesan Advisers who visited Scoil Mhuire in January 2017. 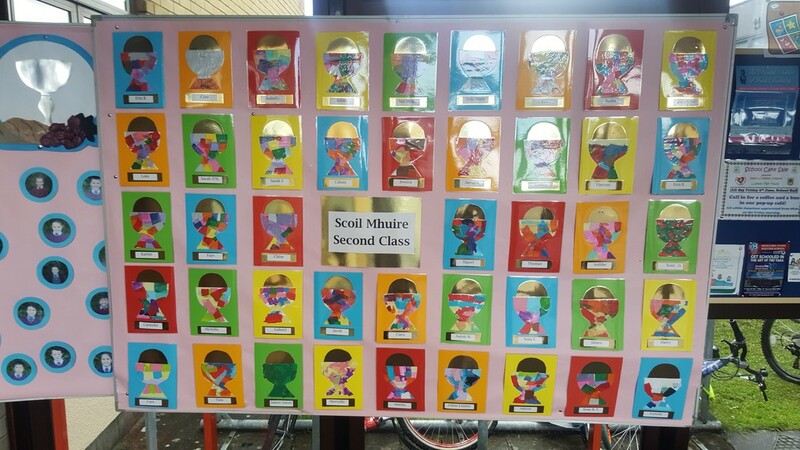 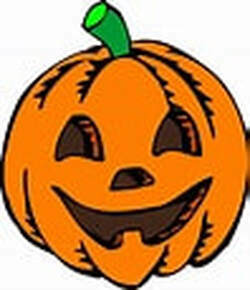 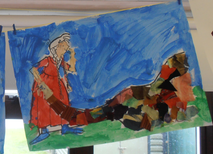 They said they really enjoyed visiting every class and were very impressed with the children. 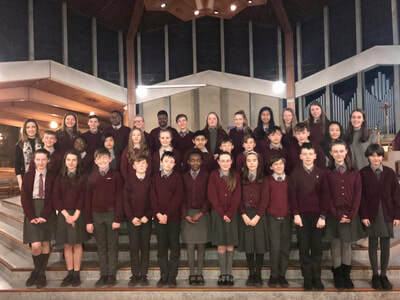 After visiting the classes, Breda took a quick picture with some of our students at our Sacred Space in the entrance hall. 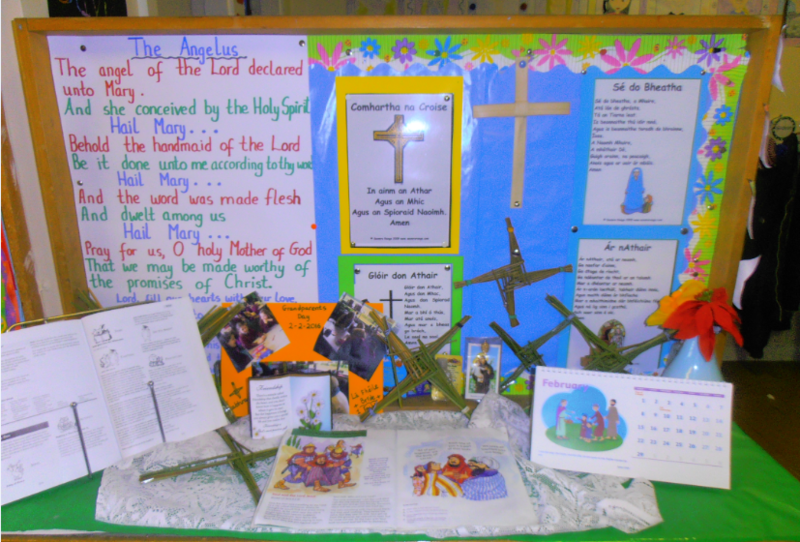 by belief in God and in the life, death and resurrection of Jesus Christ.